For the last year I’ve been consulting with business owners in all stages of Pinterest marketing — newbie, advanced, and totally confused. We start out discussing where they have been, where they are going, evaluating their boards and how to develop a streamlined strategy that not only boosts their page views but doesn’t require them to spend hours in front of the computer. How do I create a workflow for scheduling pins? Doesn’t scheduling hurt your Pinterest performance? There are so many scheduling tools out there, how do I determine which one is best? I’ve heard of Tailwind but it sounds confusing, do you have a tutorial? Does it have looping? My Facebook group was also asking these questions. No scheduling program is perfect but bloggers and business owners needed a solution that not only helped them to save time but they could learn easily and implement into their weekly workflow without spending more time than necessary. As a business owner who manages Pinterest pages for a living, and manages a team of people who do the same, I know a bit about how to be productive with scheduling while boosting page views for my clients. Just over a year ago, Tailwind, a Pinterest analytics company, released a scheduling tool. I signed up for the free trial, was won over, paid for the program and ditched my other scheduling programs (I do still use Ahalogy). I’ve never looked back. I’m a big fan of analytics. I want to know what does and doesn’t work. Since Tailwind started out as an analytics company they understood the importance of data to create a strategy that would move the needle forward. Add in the Smart Scheduling and pinning becomes exponentially easier not having to select a time for each and every pin. Just fill up the queue and you’re scheduled out for a few days. Building on these basic foundations, Tailwind has added quality pinning features like Content Discovery, a mobile app, board lists, batch pinning and Tribes! Tribes is the program I had been searching for all along. It not only meets several needs for my team but leaves Facebook Pin Groups in the dust. Their customer support kicks booty! Seriously, everyone on their team is beyond helpful and will even take a look at your analytics if you have a problem. It’s an approved API Marketing Partner with Pinterest. Boom! No worries of Pinterest shutting your scheduling program down because they are in violation of Pinterest TOS. Tailwind is compliant with Pinterest. We started using Tailwind over another scheduling provider and although the results weren’t instantaneous, they jumped to over 50,000 Pinterest page views within two weeks and the upward trend continued. I believe Tailwind is one of the best scheduling tools on the market. I’ve taught twenty team members how to use Tailwind effectively to drive traffic for our clients. It’s time for me and my team to teach YOU! How to Master Tailwind answers the most commonly asked questions about Tailwind and how to use their tools to schedule pins for effective Pinterest marketing. 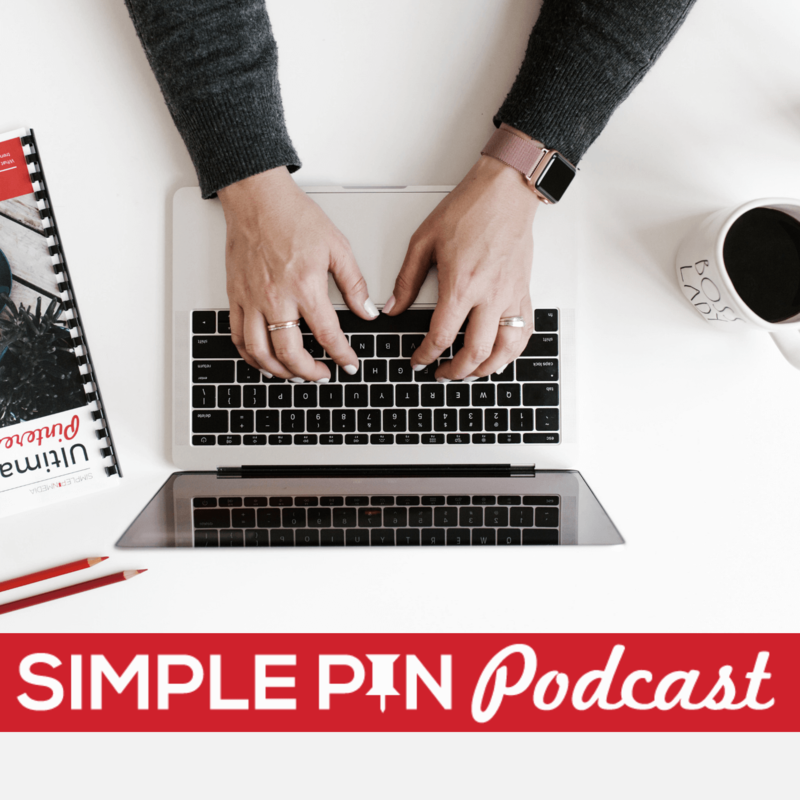 The goal is to be efficient with your Pinterest scheduling so you can spend less time on Pinterest and more time creating content, products or tools your audience needs. How to schedule 30 targeted pins in less than 30 minutes using board lists, interval scheduling and batch pinning. How to work all of Tailwind’s features to increase your Pinterest reach. We’ll share our time-saving bonus tip on how to use Tailwind Mobile so you can stay on top of your Pinterest account when you’re not in front of your computer. Plus a bonus video on Tribes! We LOVE Tribes. —-> Sign up now for How to Master Tailwind. Download this freebie to help you get on the right track with Pinterest schedulers. Kate–I just want to say thanks for getting me on Tailwind. I love it for a bunch of reasons. And yes, support is awesome! When does the course start? Would I have to be available at a specific time or would i be able to view at my conveniences? I am having a lot of problems with Tailwind. I started using it about a month ago, and I have seen a dramatic drop in traffic and engagement. For about a year I was pinning manually 3-4 times a day (and it look me less than 5 minutes each time). My traffic was great, and I never felt like I had to stress about automation screwing me up. Now I spend hours every day banging my head against the wall with Tailwind. So many other bloggers seem to love it so much, but it is crippling my blog. It doesn’t show all of my boards, I can’t schedule pins to loop, and it makes my feed look super spammy. What the heck am I doing wrong? Not quite sure! That’s really strange, but I would go back to manual for now to see if you see the traffic bounce back. That will diagnose if the problem is scheduling or not. Have you taken the Tailwind course? That would help sort this all out really quick. I just started looking at Pinterest and thought I wouldn’t have time to pin very much. Now that you’ve shown me about Tailwind, I’m sure I’ll be able to do a better job. Thanks so much. I’m currently taking the course but I’ve run into something that you may want to address in future revisions. I am brand new to Tailwind and the videos assume that you are not. So I find myself constantly having to go look up something that it’s assumed I already know. For example, when Amanda talks about using intervals and scheduling, I had to pause the video to go look up a Tailwind video explaining that intervals are something you’ll see on the pin AFTER you choose a minimum of 2 boards to pin to. Who knew? Not me, because it wasn’t explained. It’s been happening too much and I realized that if I wanted to ramp up and really understand Tailwind, I’d have to step back and take a beginner’s course to get all the details in my head before trying to tackle your course again. I see that yours is a great course but I think it would help people new to Tailwind to understand that they need to do some learning on their own before the course. You need to understand the dashboard, what various things do and how all the pieces work together. Thanks for that feedback. We can update the text portions of the course to add in some elements that are new to beginners. Thank you for this post it’s very informative. I do have one question, If I use tailwind do I still need to manually do some pinning. It’s been almost 3 years since you launched this course and alot has changed in Pinterest since then. Does this strategy still work? Is the course updated for 2019?